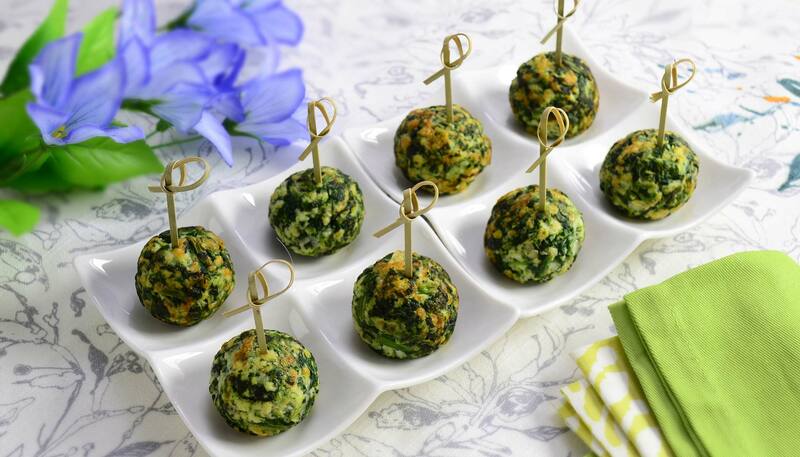 Perfectly round spinach ball appetizer with cheese, onion, garlic and spinach. 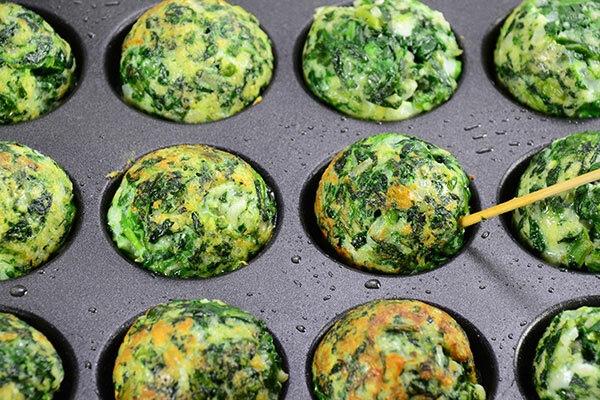 These are easily made using the optional Takoyaki Plate for Gourmet Sizzler® Electric Griddle (EA-BDC10). 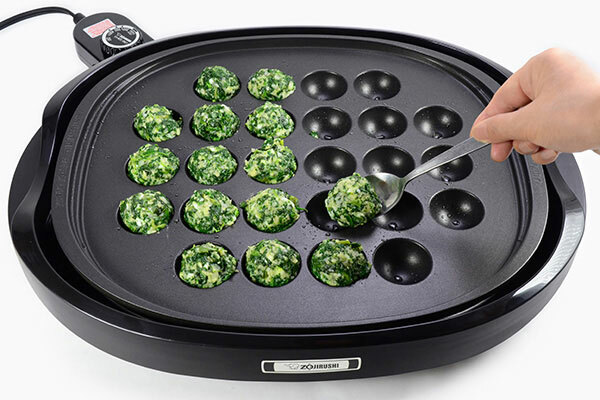 *This recipe was developed for Gourmet Sizzler® Electric Griddle (EA-BDC10) with Takoyaki Plate (EA-YBC01). Adjustments may be necessary when using other models. 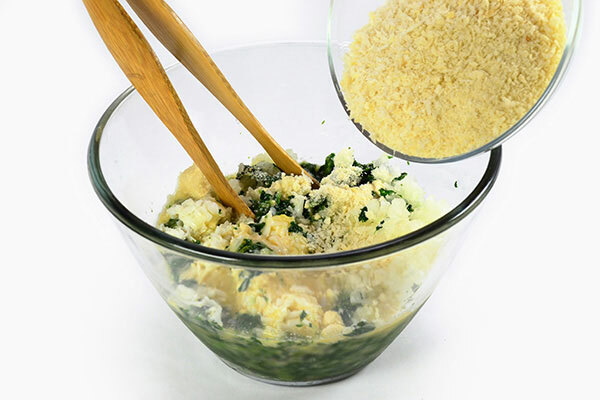 In a large bowl, combine all ingredients except oil until well mixed. Make 26 balls, each about 1 1/2 inches wide. 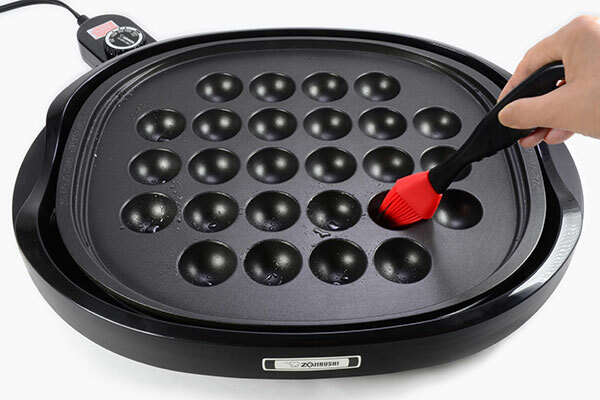 Turn control plug of Gourmet Sizzler® Electric Griddle (EA-BDC10) with Takoyaki Plate (EA-YBC01) to 300ºF. 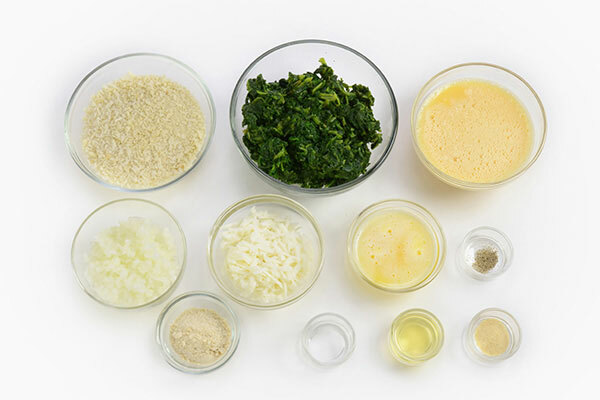 When preheating completes in 3 minutes, lightly grease each indentation with vegetable oil. 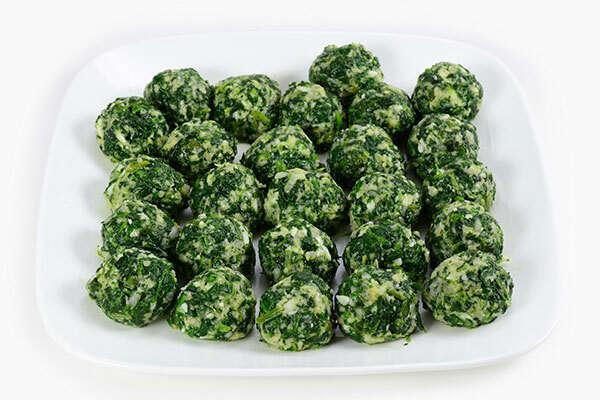 Fill each indentation with prepared spinach balls. 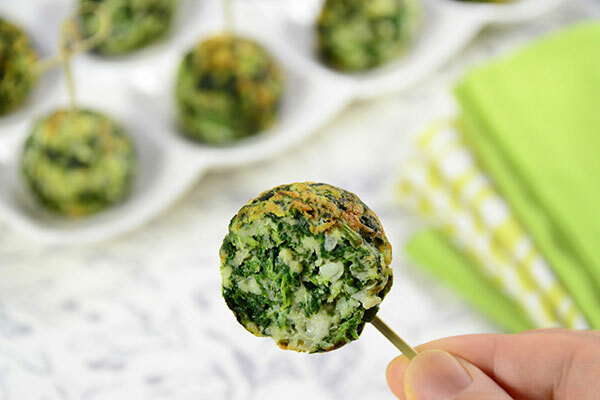 Cook for about 3-4 minutes then flip each over with using a bamboo skewer. Cook for another 3-4 minutes or until all surface is lightly browned.